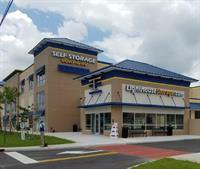 Lighthouse Self Storage is happy to announce the brand-new state-of-the-art storage facility in the West Palm Beach, FL area. The grand opening will be held on August 24 between the hours of 12-5pm. Amenities & variety like video surveillance, drive-up, climate-controlled, boat & RV parking spaces, elevators for upper-level storage to meet all your storage needs. For more information on our Grand Opening Event check out facebook event.